Read our helpful guide to second hand BMW 120. AA Cars works closely with thousands of UK used car dealers to bring you one of the largest selections of BMW 120 cars on the market. You can also browse BMW dealers to find a second hand car close to you today. 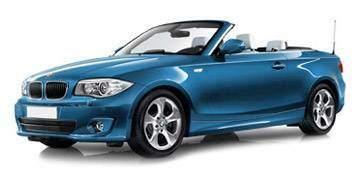 All used BMW 120 on the AA Cars website come with free 12 months breakdown cover. The smallest of the German manufacturer's range, the 1 Series is often considered to be the entry-level BMW. This isn't to suggest that it doesn't bear the trademark qualities of the BMW badge, however. Powerful, refined and stylish, the 1 Series shares much with its bigger siblings the 3 and 5 Series, but fits them into a smaller package. The 120 model, boasting a 2 litre engine, offers the best mix of power and performance (181bhp), yet at its cleanest emits just 116g/km and returns 64.2mpg. Although it might not offer the unrivalled, all-round excellence its sibling the 3 Series does, the 120 is an impressive and affordable entry into the exclusive BMW owners club.